Within the scope of the second phase of the Resistance of the Age in occupied Afrin, our forces continue to carry out successful military operations against the invader Turkish army and its mercenary allies. On December 13th, our unit carried out a successful operation, targeting the positions of the invader Turkish army in Kimar village of Afrin’s Sherawa district. 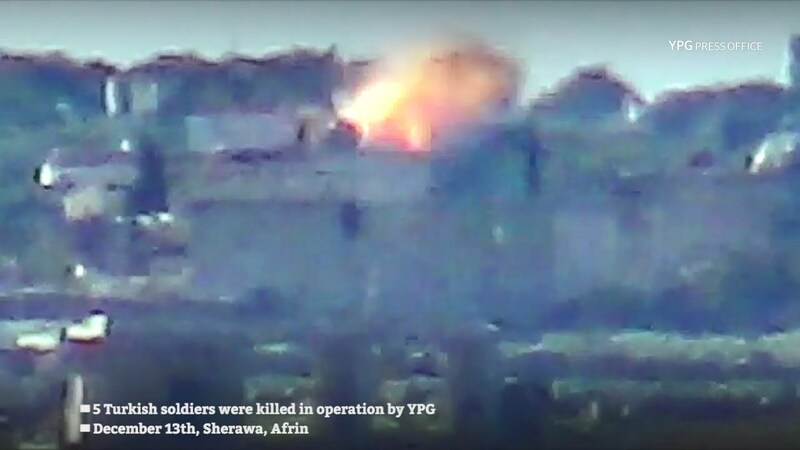 As a result, the enemy outpost was destroyed and five Turkish soldiers were killed.